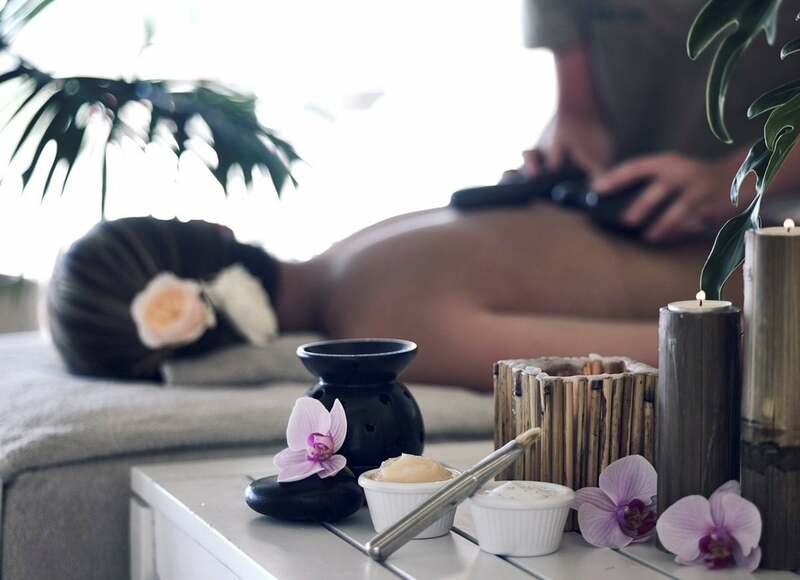 Once you wish a holiday escape where you can recharge and rejuvenate your soul, indulge in activities and experience fine cuisine or enjoy a romantic getaway, look for no further than Ikaros Beach Luxury Resort & Spa. 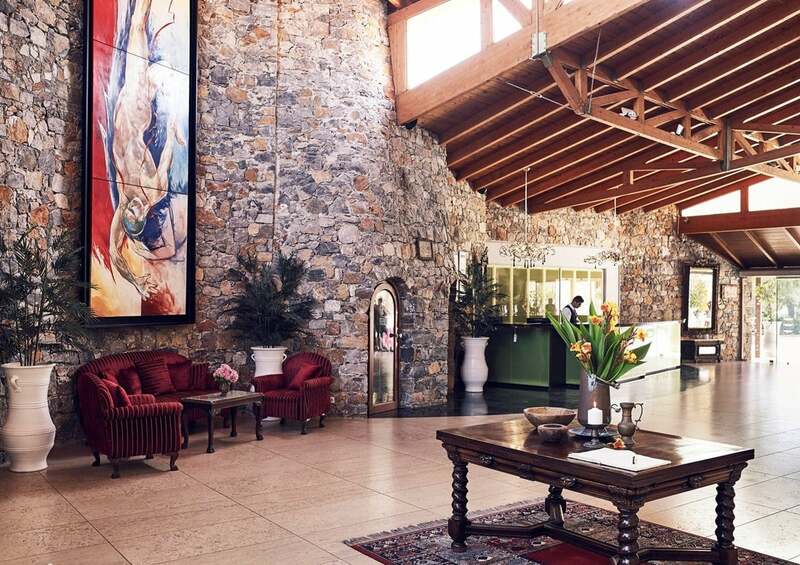 Our blissful atmosphere, attentive service, facilities and the combination of tradition, hospitality and the elegance of simplicity is the answer to your dream holiday. 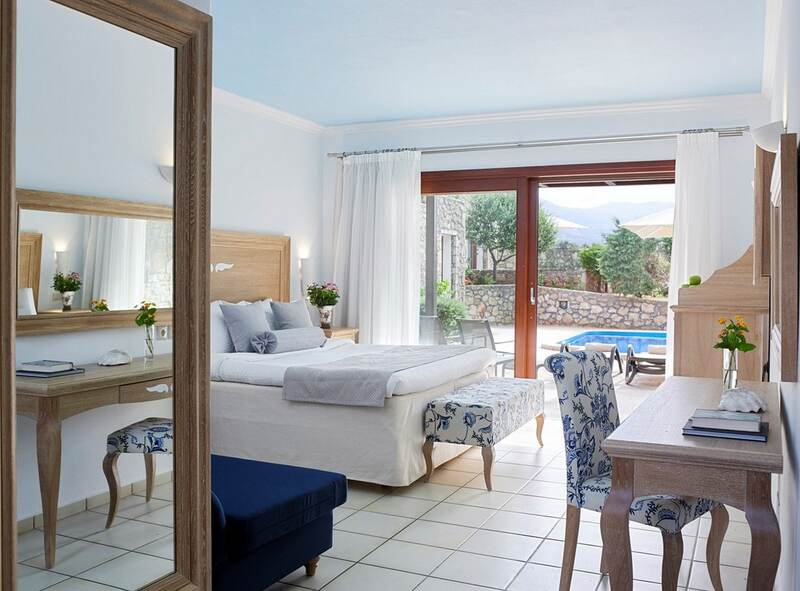 Crete is traditionally known for its exceptional hospitality it has been passed on from generation to generation and at Ikaros Beach, we pride ourselves in excellence giving guests the best experience and service for a comforting and relaxing stay. On the seafront, on the beach, 1 km from the center of the resort of Malia, with its noisy nightlife. 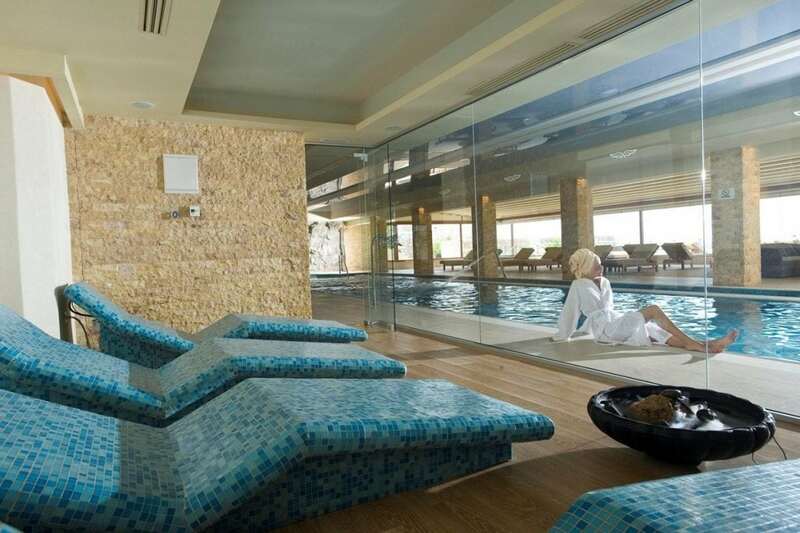 32 km from the airport of Heraklion, in the resort place of Malia. Bus stop near the hotel. The sandy beach, open coastal strip, equipped with everything necessary for comfortable rest. Entrance to the sea sand. OLIVE: Enjoy breakfast, lunch, an extensive dinner buffet as well as the unique 14 day menu with theme nights that will take your palate around the world with Greek, Asian, Italian, Mexican, Cretan and seafood nights. Here at the Olive restaurant guests with special dietary requirements can dine in ease with the menu’s numerous options to choose from. AYERI: Spoil yourself with authentic Mediterranean cuisine at the quaint Ayeri restaurant with its intimate atmosphere and incredible views of the deep blue sea. At Ayeri, guests residing in our suites can enjoy a VIP ala carte breakfast and dinner and indulge in our buffet of appetizers and variety of options on the a la carte main meal menu. OYZERI: Ouzeri - Kafenion, a fish tavern in a unique setting at the edge of the sea is known for its splendid lunch and dinner views. This traditional Greek tavern is a favourite amongst all of our patrons because of its friendly atmosphere, meat dishes and the interactive dining experience of choosing a selection of fish and fresh seafood and enjoying the feast as our chefs prepare the meal right in front of your eyes. VERANDA: Against the alluring background of the cobalt, sea is the gourmet dining restaurant, Veranda, which offers you a worldly mix and combination of gastronomic influences and ingredients from around the world. Food is presented in an artistic way to complement the distinctive taste experience and you can’t leave without trying the chef’s favourites: fresh pasta and sautéed lamb fillets in port wine. Veranda is a restaurant, as well as cocktail and wine bar, offering a la carte meals open from 6pm until midnight. SUNSET: For unique Asian flavours, head to the very popular Sunset, another Ikaros Beach seaside restaurant where you can enjoy the fresh breeze with impeccable service and views as the sun waves goodbye behind Chersonissos Bay while the waves splash against our large windows. EN LEFKO: Experience a mixture of American culture and Italian cuisine at En Lefko, a restaurant offering a selection of pizzas, pasta, sandwiches, burgers and grilled meat with elegant, simplistic features to complement the unique seafront setting and views. 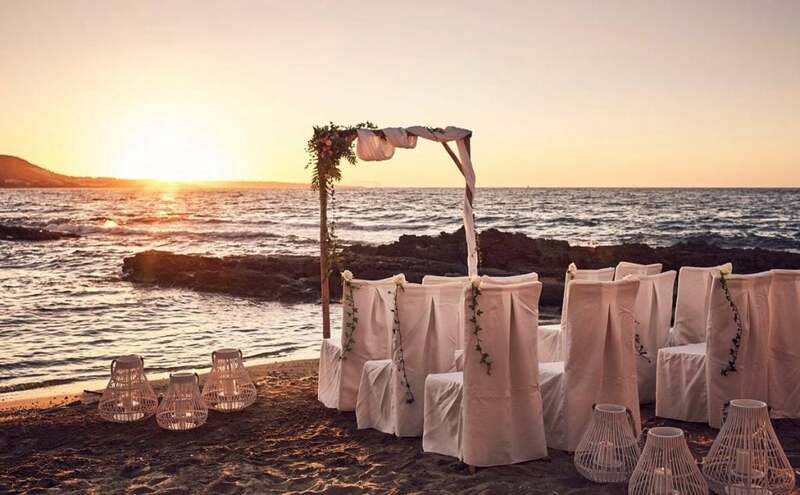 PRIVEE: Beautiful scenery awaits at Privée, a secluded gazebo for small gatherings for a party of 4 to 6 people offering interactive courses as well as specialised private services to celebrate the special moments in your life and make it last forever. 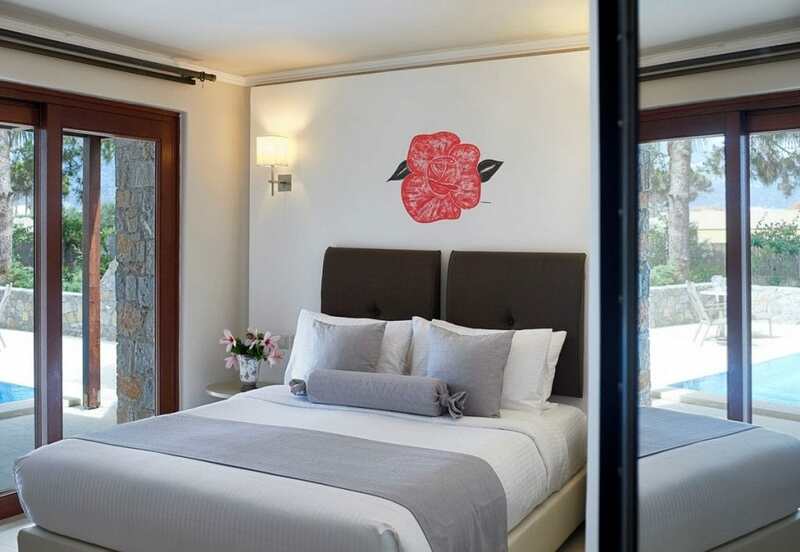 The Ikaros Classic Room - ideal for a couple - is in the main building of the Village. 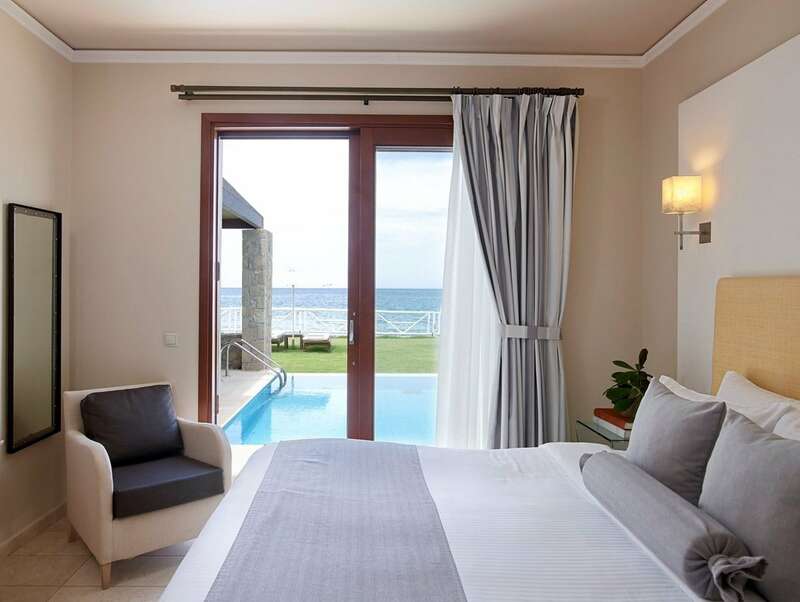 The rooms are elegantly decorated in soft grey and earthy tones with modern bathrooms and minimalistic wooden features. It is perfectly positioned to get sunlight, shade, splendid views and a lovely fresh sea breeze which can be enjoyed at the comfort of your balcony or terrace. Experience the charm of our bungalow classic through its modern designs and simplistic living room features. The bungalows – styled in fresh green tones and floral details – is in touch with the beauty of our island and sets a mood of peace in abundance. 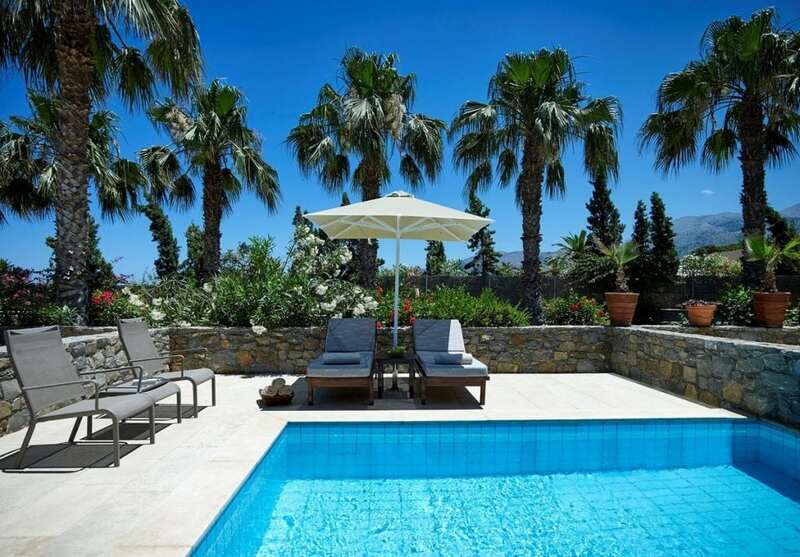 Some bungalows have exquisite private or sharing pools while other bungalows can enjoy immediate access to one of the four larger pools of Ikaros Beach. The Bungalows Deluxe consists of one bedroom and one sitting area with a comfortable double sleeping sofa. With two spacious bedrooms, it is the ideal home away from home for two couples, friends or a family. Incredible sea views, outside spaces invites you to get comfortable with a good book, switch off from the world and just enjoy time with loved ones. The bedrooms feature classic yet modern wingback chairs with floral designs, crisp white linen and soft earth-coloured touches. The comfortable sea view Suites with a bedroom and separate living room, with sleeping sofa, offers family and friends marvelous views. 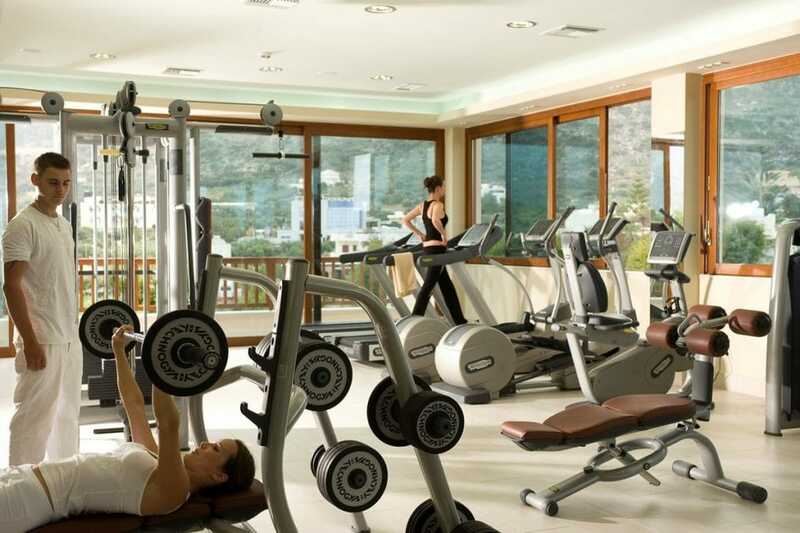 The tranquil setting and peaceful ambiance inspires full relaxation. 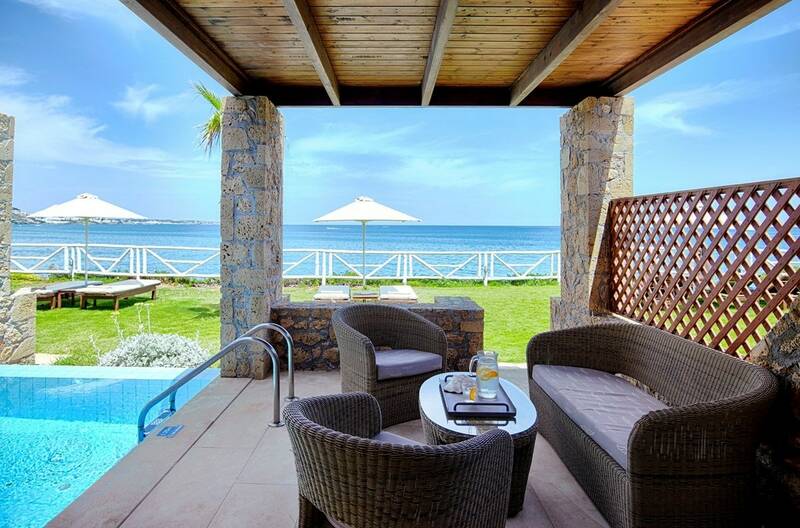 Here you can spend days just marveling at the splendour of Crete on your balcony with your feet perched in the air. 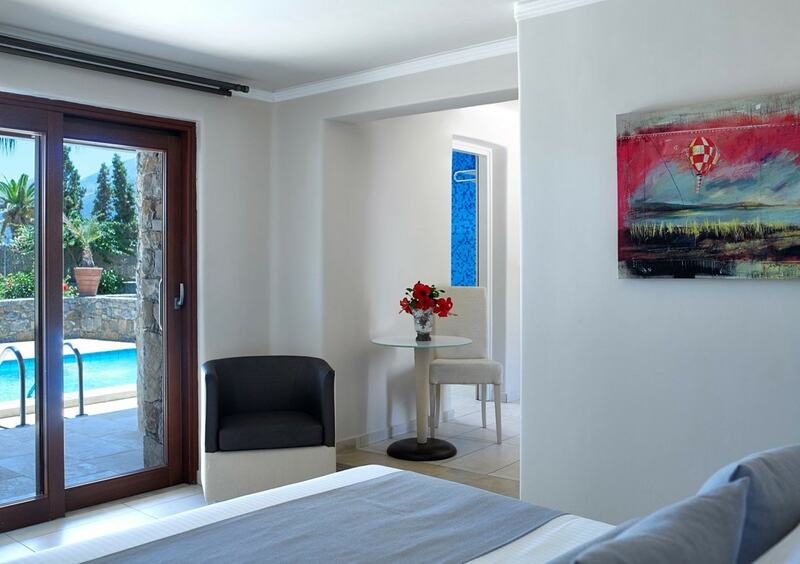 The rooms are equipped with modern amenities with striking art, comfortable furniture and wood-and sand-coloured finishes. The exquisite Suites Sea View, suitable for a couple or a family, is superbly decorated in natural shades. 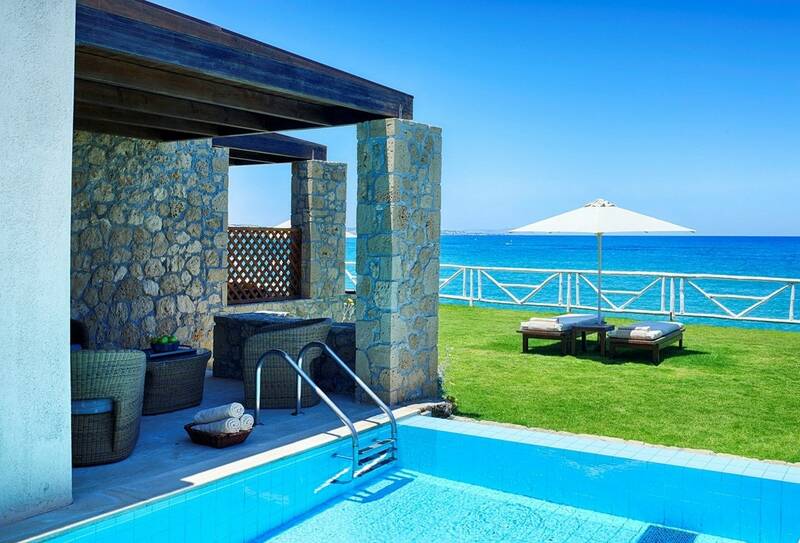 Besides the stunning sea view, another highlight of the suite is the private swimming pool; you can relax next to your own pool with deck-chairs perfect for daydreaming, reading and sunbathing. The Junior Suites with its sea front and private pool bring you to a space made up of dreams and features boasting traditional architecture. The room and living space set a classy tone with its modern yet classical furniture, soft colours and fashionable displays. The terrace with its alluring crystal blue swimming pool, comfortable chairs and lounge beds, says holiday in every language possible.